Over the last few weeks in June we have covered topics such as Respect vs Invalidation to help a client who may be stuck in a place of invalidating themselves and invalidating those around them, to realize that an outward judgment is a reflection of inward judgment. We also looked at the topic Underlying Beliefs. 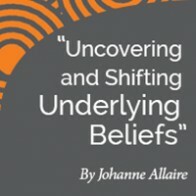 Beliefs that are underneath our awareness and influence our behavior without us even thinking about them. Lastly, we talked about Dis-Empowering Perspectives. We went through a list of possible dis-empowering perspectives, things such as catastrophizing, thinking that we have the answer even though we may have lack of information. Often when we are feeling stuck or unhappy, a dis-empowering perspectives is taking over. Looking over all of these topics it really comes down to a specific point of how you see yourself and then how you see the world around you. 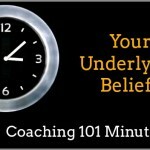 We talk a lot about about Reframing Perspectives; infact, one of our modules for Coaching 101 is Reframing Perspectives. There is a technique that I want to highlight, one that brings everything together from our month, The 3-Year Old Technique. 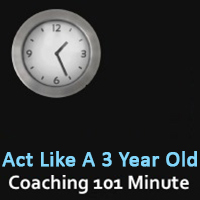 Think of a 3-year old child. If you ever have the chance of telling the 3-year old the truth, immediately they will ask the question, why? Why and then why and then why, until finally they get some information that really aligns with their sense of the world, how they see the world. As adults we often find ourselves accepting perspectives that are unhelpful or actually maybe don’t make sense to how we see the world. It may be due to embarrassment or we may feel that it’s not our place to ask for more detail. I want to challenge everyone who is listening to this audio or reading this blog post. Over the next 24 hours, take on this 3-year old mindset and ask, “why.” This is not to question authority, but to ask for more understanding until you understand it from your own world view. If we really understand how we see the world, we will be able to understand other people and the world as a whole. Releasing negative underlying beliefs, that lead to invalidation and open the space for respect. Ask why, think of yourself as a 3-year old and asking for more clarity. If you haven’t done so already, I really encourage you to come to one of our upcoming Coaching 101 classes in July. We have, 3 to 4 classes offered each week across all time options. They are free to join and you get a great taste of what our classes are like here at International Coach Academy in our coach training programs.